Today we're excited to announce the latest feature for Bold Subscriptions, and it's a game changer! 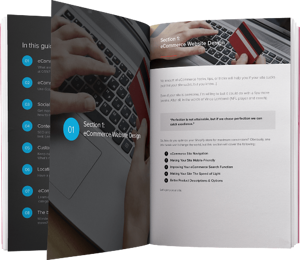 It's called Build-a-Box and it allows your customers to easily adjust their recurring orders. They can even skip an order altogether, giving them more control and reducing your churn. This is ideal for food delivery and meal plan subscriptions. 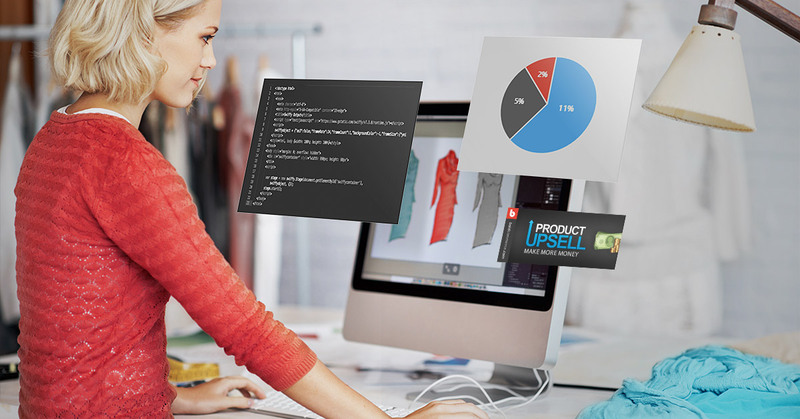 Bold Subscriptions has always given you the ability to sell subscriptions boxes on Shopify. You can offer curated boxes based on your customers' interests, or even a ‘surprise’ box every month like one of our biggest clients, Lucky Tackle Box. With our newest release, your customers now have the option to choose exactly what they want in their subscription box from a curated selection of products. That means they can choose exactly what they want every month, and you get the recurring revenue for your online store. Why? Your customers literally get to build their own unique subscription box every month at a set recurring price. They still have the same subscription options as before, but now they have the bonus option of switching out products based on their individual preferences. An example might looks like this if it was a meal plan subscription. Of the six meals to choose from, your customers will select how many of each one they want. When they're done, they'll click save, and their next shipment will reflect those choices. For the next week (or month or whatever) they can log back in and adjust it again. As the store owner, you can update these items as much as you like too! So every month the customer can come and see new exciting options. This can be great for increasing customer retention. Your customers aren’t just choosing a ‘theme’ of products they’ll receive in their subscription box, your customers will get individual items that they’ve personally selected. Their recurring billing stays the same, only the products will change. And there’s no limit on the number of items you can offer for selection and no limit on the number of items your customers can include in each box. It’s all chosen by you. Take a look at our test store to see it live in action. What if they forget to log in and make their selections? Each of your products can be assigned to a label inside the app, and if a customer does not log in and change their selection, they’ll receive the new product with the same label as their previous selection. Selling wine? If their order isn't updated, they'll automatically receive the next 'our favourite' selection for their next order. Meal plans? If they chose scambled eggs last month, they'll receive the new 'egg dish' option. Let’s use a beauty box as an example. Let’s say in January a customer chooses a volumizing shampoo, a dry shampoo, and a flexible hold hairspray for their personalized subscription box. In February, the products you offer will have changed, so if that same customer forgets to log in to make their new selection, the app will use the labels assigned to their January selections to choose their products for February. Their January selections will have the labels ‘shampoo,’ ‘dry shampoo,’ and ‘hairspray.’ So in their February box they’ll automatically receive the new shampoo, dry shampoo, and hairspray options that you’re offering. This feature was originally built with food delivery services in mind, but we’ll show you how it can increase recurring revenue on just about any eCommerce store. 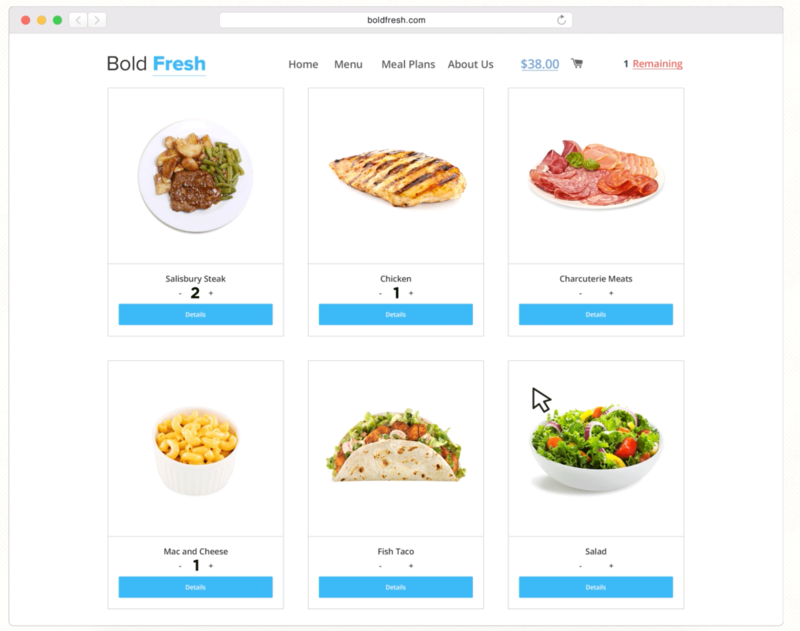 One of our amazing clients Kathy’s Table is using Bold Subscriptions to deliver freshly prepared meals to their customers. They wanted their customers to have the option to log into their account and create a personalized delivery, or recurring order, every two weeks from their rotating menu items instead of having to manually enter the information. Now, with Build-a-Box, every two weeks when they release their new menu, customers can log in and create their own order. Let’s say your store offers an apparel subscription box that ships four times a year, starting at the beginning of each new season with a top, pair of bottoms, and shoes. Instead of having your customers complete a survey so you can try and guess what they want to receive, you can let them choose the items they actually want each season. And if they don’t like the shoe options for summer, they can always choose an extra top and switch that back to a pair of shoes in the fall. It’s the ultimate way to create a shopping experience tailored to each customer, guaranteeing they’ll like what they get each month. And happy customers stay subscribed! If you have a subscription business delivering a curated bottle of wine each month, you now have the option to dramatically increase your subscription numbers! One of the main barriers customers have to committing to a subscription box is the fear that they won’t like what they get and they’ll be wasting their money. 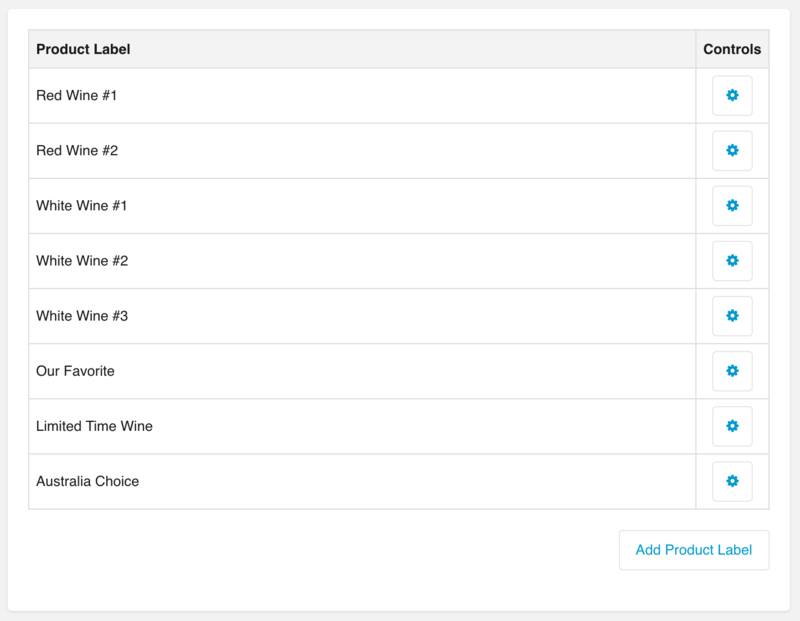 Using Build-a-Box you can let your customers select each bottle of wine they’ll receive. Not only can you still offer the traditional option of receiving that ‘surprise’ bottle of wine every month, you can convert those customers who are on the fence by letting them choose their own bottle as well. You’ll still be curating their selection of wines for them, but they’ll choose the actual bottle they’ll receive. 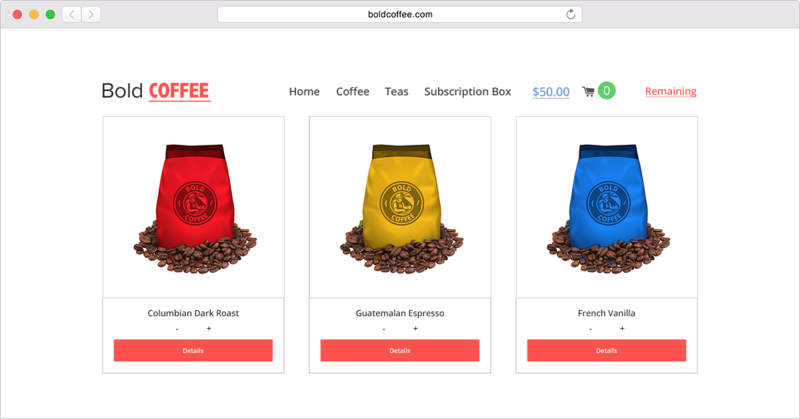 Using Build-a-Box, you could offer your customers a unique coffee subscription box each month that includes any three products they want, with the option to choose from filters, beans, coffee pods, or travel mugs. Their first month, they might select two flavors of coffee and a mug. During month two, they could switch their order to two new coffee flavors and a package of filters, their third month could be three packages of their favourite coffee they’ve tried so far, etc. How do I set this up on my store? First, you need Bold Subscriptions to start your recurring order business on Shopify. We offer a no risk free trial, free code installation, and theme update. 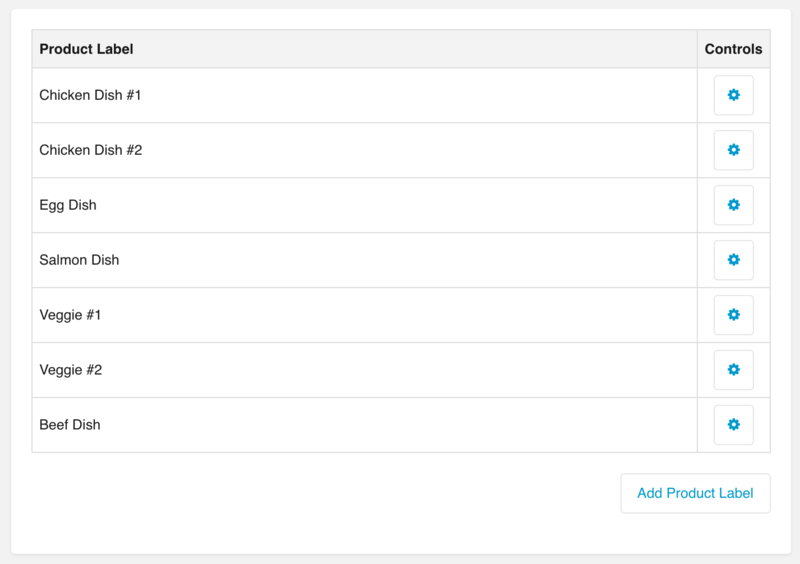 We can even import your subscriptions from another app for you. Once you’ve set up the app, or if you already have it installed, click here to learn how to set up Build-a-Box on your store. If you have any questions at all, send us an email or check out our release page for all the details. One of the main reasons people cancel their subscriptions is the fact that they have no option to change or edit their orders. An increase in customer retention of just 5% can increase profits by 25% to 95%! That’s a whole lot more money in your pocket. Not only will it increase your current profits, but since no other subscription app on Shopify has this new feature, it has the potential to increase your monthly recurring revenue as well. Let us know in the comments below how you’re using this new feature! We’d love to feature you and your store on our blog!